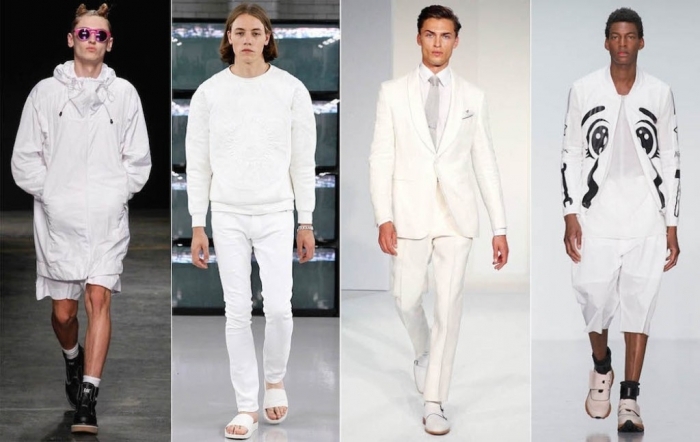 Do you have any idea about the latest fashion color trends for 2015? 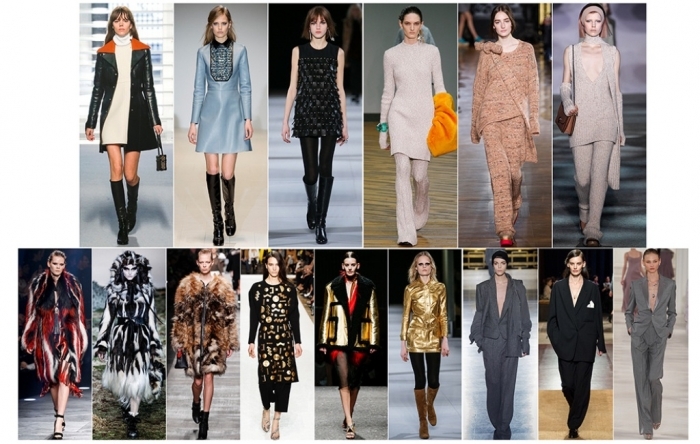 The time is suitable now for talking about the fashion color trends that are going to be presented in the next year. 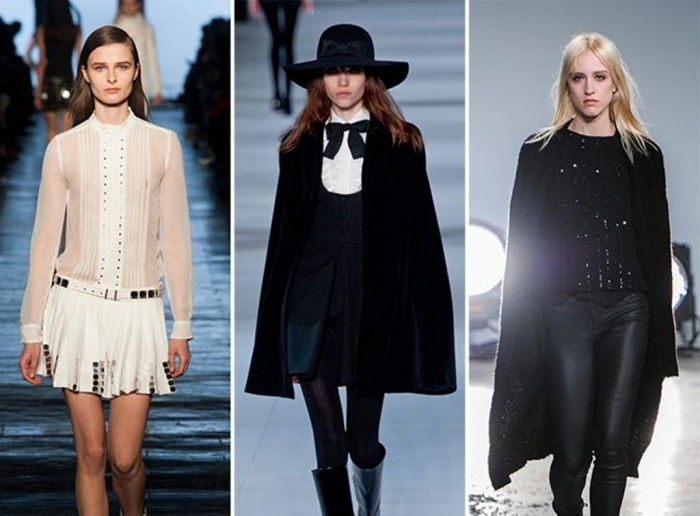 We are still in 2014 but taking a look at the new fashion trends that are presented to us for the coming year is necessary to prepare ourselves and know what to purchase for our wardrobes. 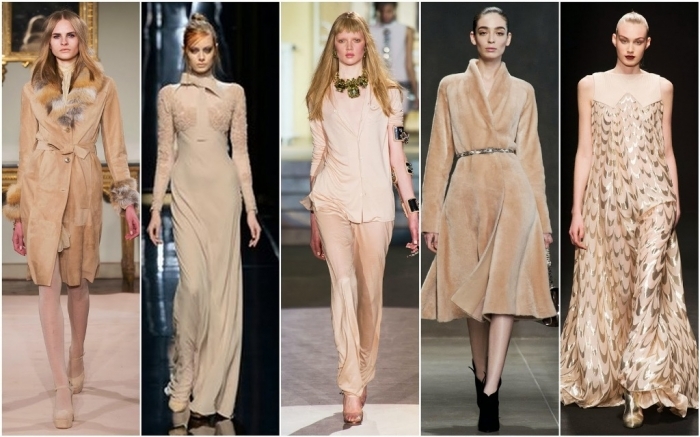 The new fashion colors that are presented for the next year tend to be bright, soft, romantic and neutral. 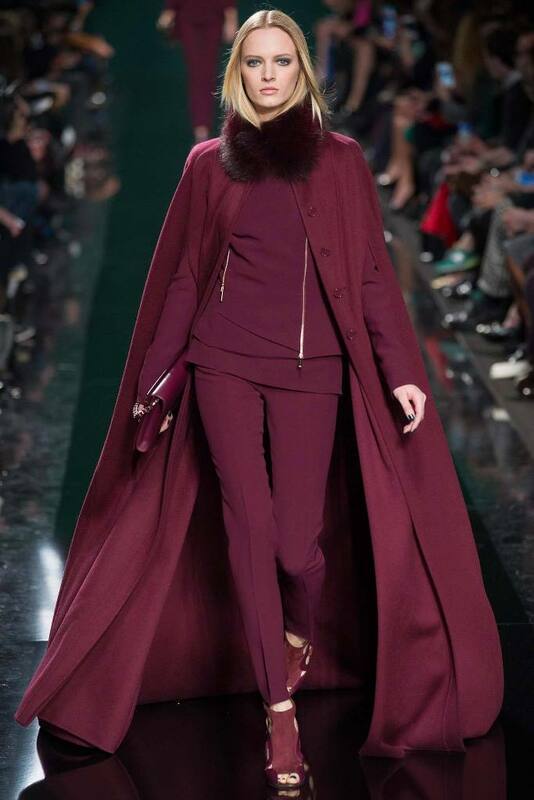 What is the color that dominates most of the fashion shows that are presented by different famous fashion houses? “It is gray”. You can go for choosing this color without doubt or hesitation and there are also other colors in different shades that appeared in multiple fashion shows. 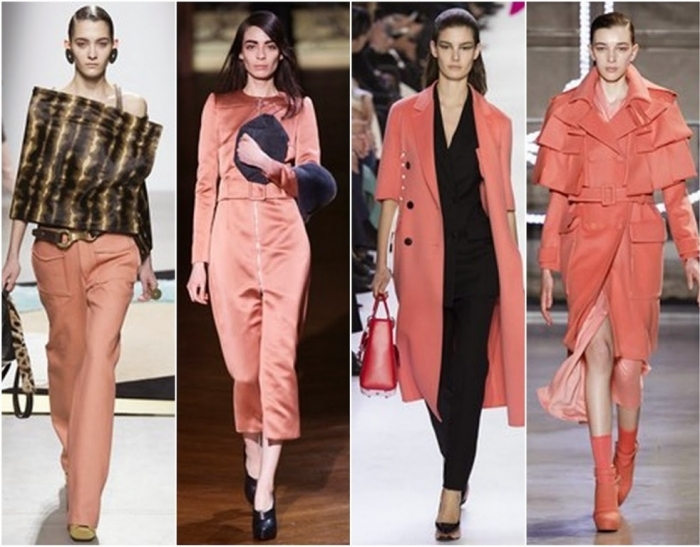 Let’s take a look at the following 10 hottest fashion color trends that are presented to us by the most famous fashion houses to know which colors will you choose for your wardrobe. 1. 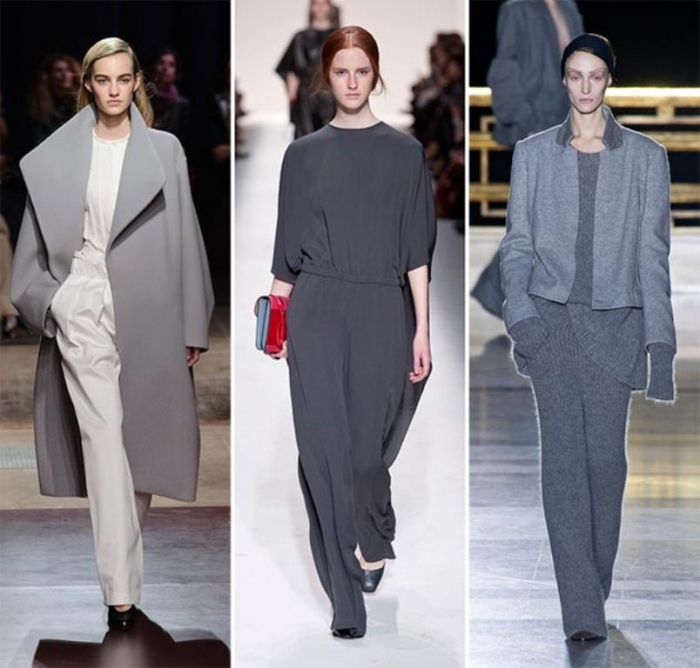 Gray: It can be considered as the hottest color for the next year since it dominates most of the fashion shows and is presented in different shades ranging from dark to light gray. A wide diversity of grayish designs were seen in several fashion shows of Chanel, Saint Laurent, Christian Dior, Nina Ricci and other famous fashion houses that are widely known. 2. 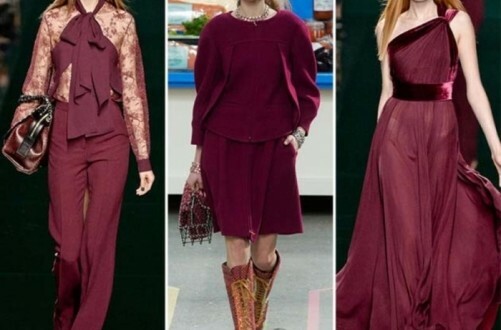 Sangria and aurora red: Red is one of the most feminine colors that are usually presented by the world of fashion and it is available in different shades but the most common shades for the next year are sangria and aurora red. 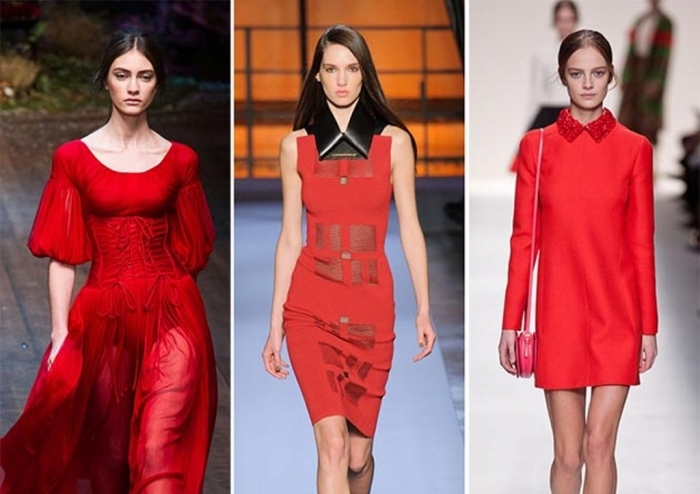 Red was used in different fashion shows including those of Christian Dior, Dolce & Gabbana, Paul & Joe, Chanel and more. 3. Black and white: These two colors cannot be forgotten since they are crowned on the list of colors and are almost present every year and even every season. 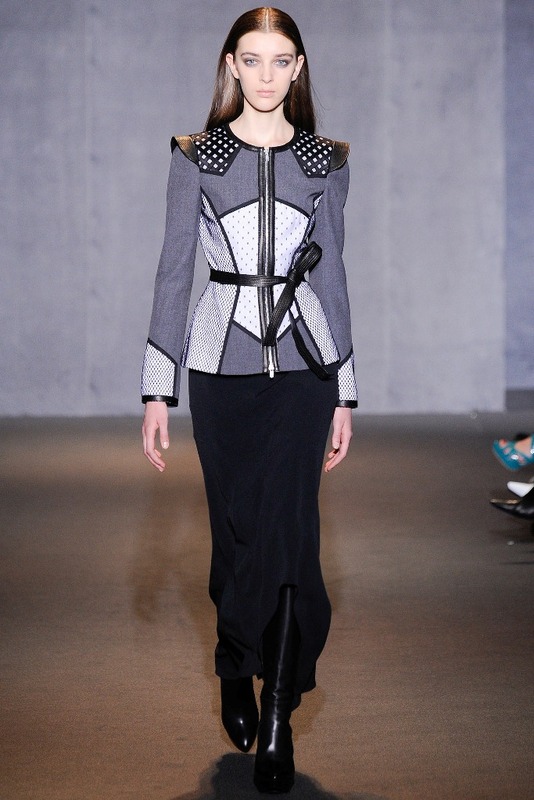 Black and white dominated different collections of Alexander McQueen, Roland Mouret, Chanel, Valentino and more. Black and white are combined with each other or each one of them comes alone. 4. Mauve mist and radiant orchid: Radiant orchid was one of the hottest colors that were presented in the last year and it is still present for the next year. Mauve and orchid shades are among the best colors that make you more feminine and confident. 5. 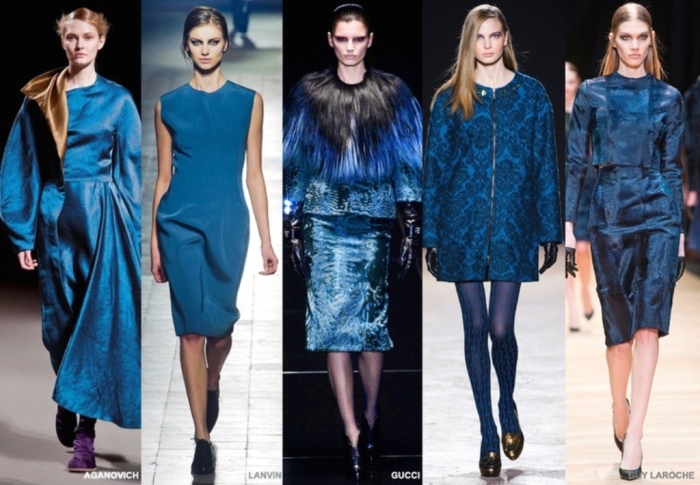 Blue: Navy blue is one of the newest fashionable shades that are presented for the next year. 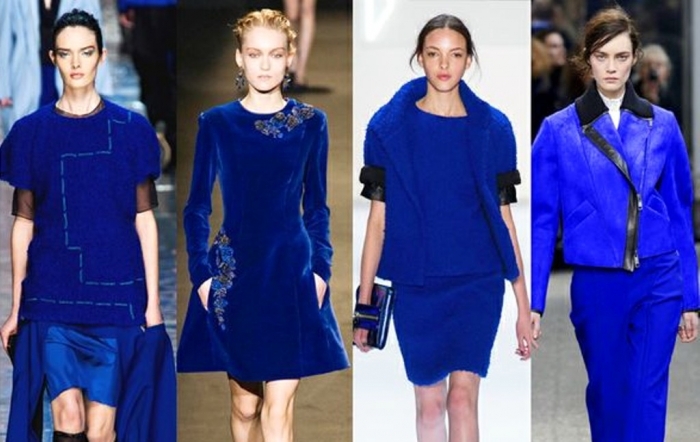 There are also other shades of blue such as royal blue and bright cobalt. 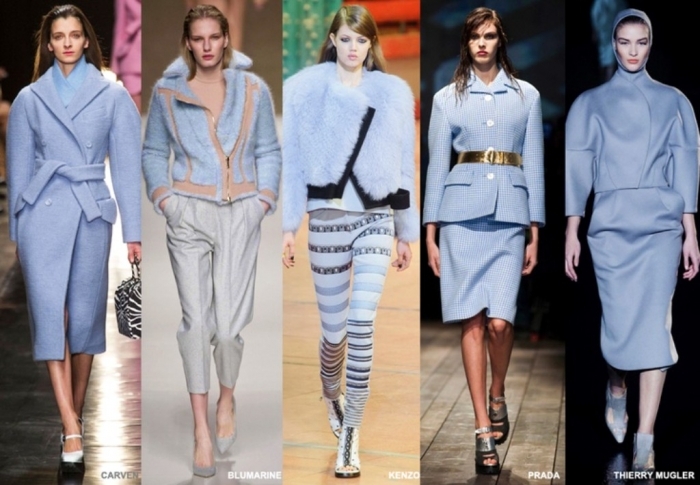 The blue color appeared in different designs which were presented by Paul & Joe, Valentino, Dior and other fashion houses. 6. Golden: It adds an elegant, royal and extravagant look that is hard to be achieved by other colors. 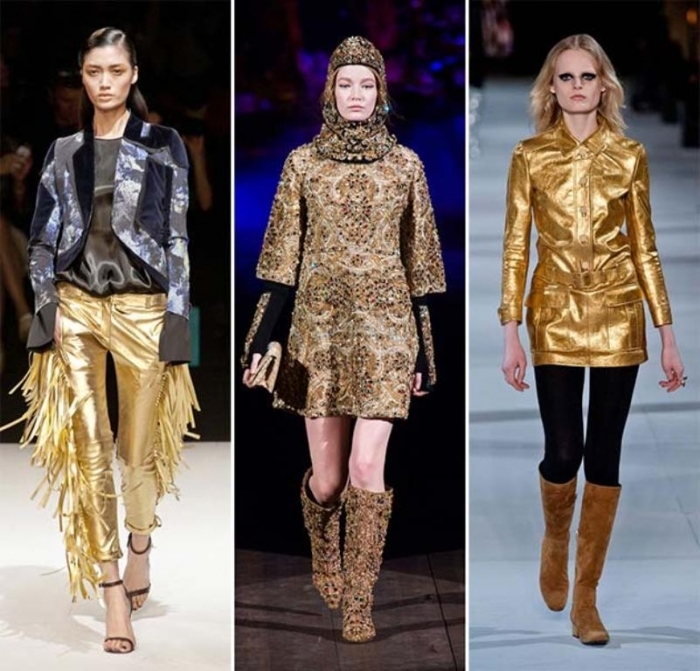 Designs of golden textures appeared in different fashion shows of Saint Laurent, Dolce & Gabbana and other fashion houses. 7. 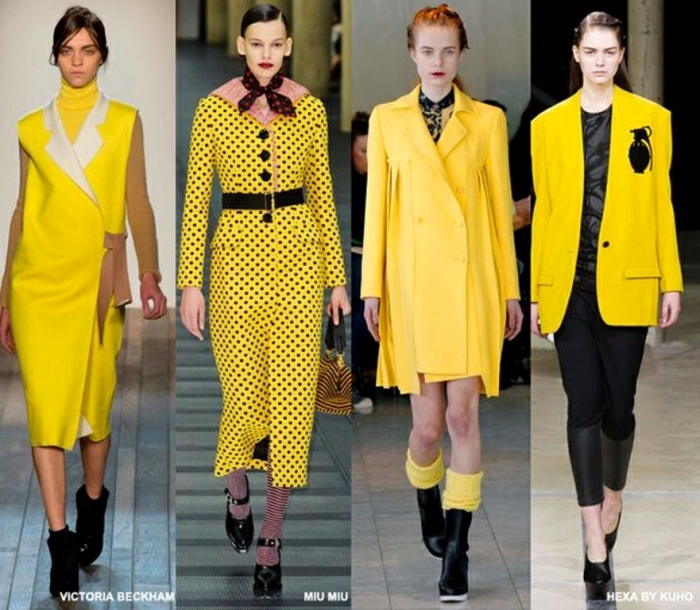 Misted yellow: It is one of the brightest colors that are presented for the next year. This shade is ideal for creating an elegant and catchy look. 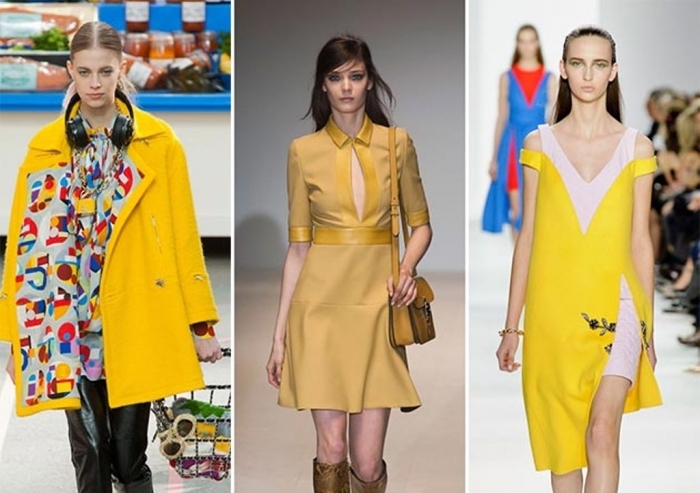 Yellow shades were seen in the collections of Dior, Valentino, Chanel and others. 8. Orange: Who likes this color? 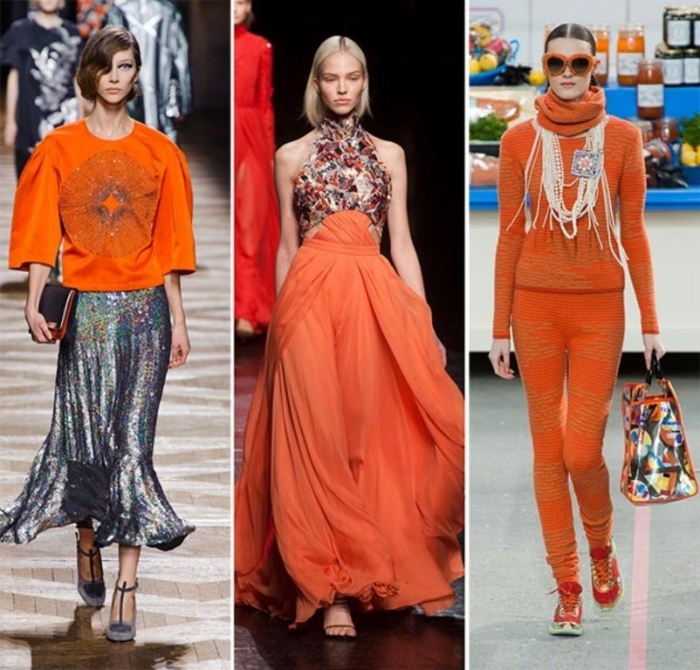 Orange is one of the most energetic and feminine colors that can make any woman look elegant and fashionable. 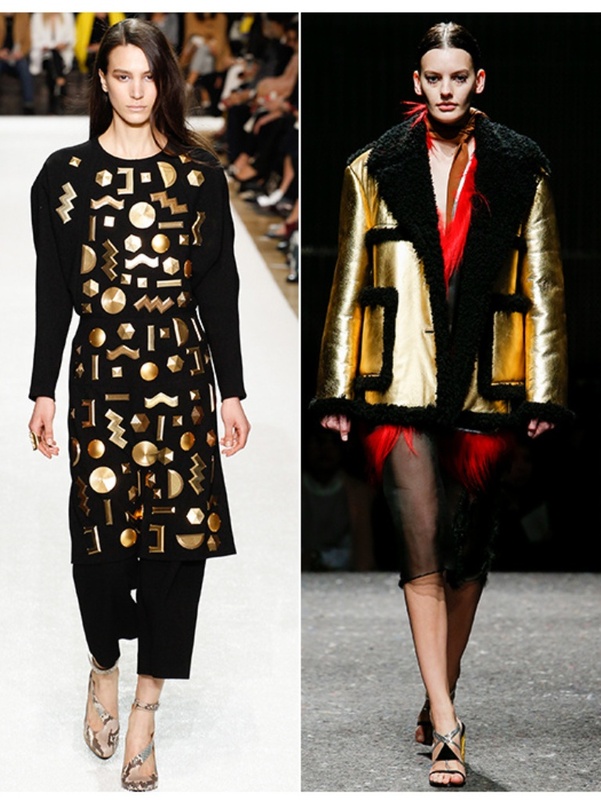 It was seen in different fashion shows of Chanel, Louis Vuitton, Jonathan Saunders and more fashion houses. 9. Green: Cypress green is one of the catchiest green shades that are presented for the next year. It energizes you and increases your elegance. 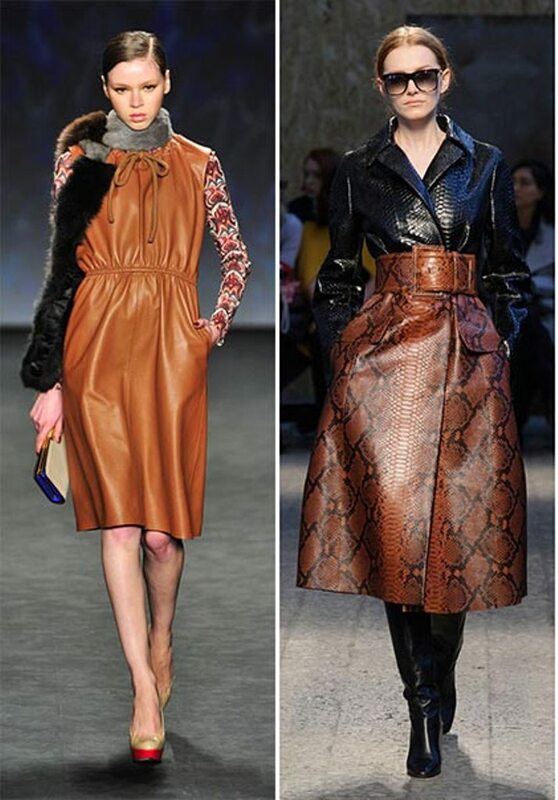 It was presented in different collections of Valentino, Christian Dior, Gucci and more. 10. 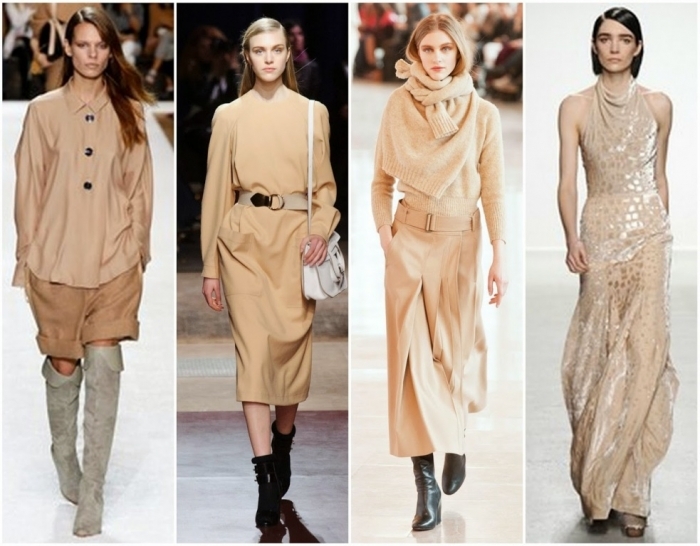 Brown & beige: Cognac brown and beige are hot colors for the next year and they are perfect to be paired with each other. These colors are used by different fashion houses such as Chloe, Valentino, Paul Smith and more. Next Top 10 Hottest Jewelry Trends This Year!